Allu Arjun has three projects in lineup, after staying away for nearly two years. The Stylish Star's next three films are with directors Trivikram, Sukumar and Sriram Venu. 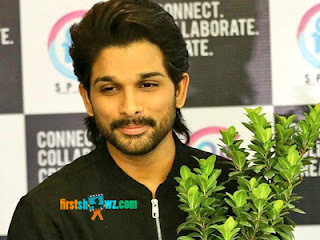 Getting into details, Allu Arjun, Sriram Venu movie is titled Icon, and it is being produced by Dil Raju under Sri Venkateswara Creations banner. The film will roll its cameras only after the completion of Trivikram, Sukumar movies. Bunny will initially commence film with director Trivikram Srinivas which will hit the sets from 24th April. Pooja Hegde is the heroine in the movie, and it'll be produced by S.Radha Krishna on Haarika and Hassine Creations banner with music by SS Thaman and camera by PS Vinod. On the other hand, Allu Arjun and Sukumar's much awaited film will be bankrolled by Mythri Movie Makers and casts Rashmika Mandanna as the heroine.